Meet Kristen Carbone and Ayan Bhandari, two local entrepreneurs both with incredible personal stories that have led them to create brands and products specifically to empower women. Ayan Bhandari, Co-Founder & CEO of Nuway, has used a specialty approach of "designing for women in context” to create a solution to an ever-present problem for women in Uganda who are forced to sit side saddle on motorcycle taxis.Live stream information will be made available soon. To join the livestream please rsvp to the event and you will be sent a link later this week. Kristen is the founder of Brilliantly, a brand that provides the support women need on their journey toward feeling vital and strong in their mind and body after mastectomy. Motivated by her own personal experience, she is committed to providing solutions that help women deal with longterm physical and emotional needs so they can prosper. 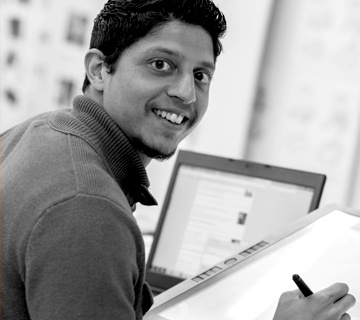 Ayan is a Senior Human Centered Industrial Designer at Ximedica. He uses systems level thinking to synthesize complex, multi-layered problems in the medical industry, to create usability driven solutions. This process requires a dynamic design skill set, collaboration with cross-disciplinary teams, and the ability to advise and guide a client through the medical development process. Since graduating from Virginia Tech in 2013, Ayan has honed his skills at various start-ups and corporations, culminating at Ximedica. He is an adjunct professor at RISD University, and is the Co-Founder and CEO of nuway, developing safety equipment for passengers, on motorcycle taxis, in Uganda.